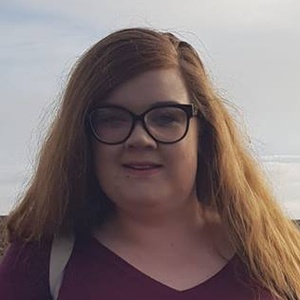 Samantha Campbell was an independent candidate in Rhoose in the The Vale of Glamorgan local election. Our volunteers have been adding information on Samantha Campbell - here's everything we know so far! I grew up in Rhoose and three generations of my family happily live here. I take pride in where I live. I ran as an independent candidate in the 2017 Rhoose Ward Councillor elections and although I was not elected, I made a promise that I would not let the 565 people who voted for me down. One of my campaign promises was to push for park improvements and after that election, I went on to establish the parks group which helped in the upgrading of Ceri Road Park. I cannot thank the volunteers who helped with this enough. I love Rhoose and I believe we have a fantastic community, filled with fantastic people. As well as my involvement in the parks groups, I am also the Treasurer of the Rhoose Community Spirit Group which is responsible for the Christmas lights in the village. In addition, I am also on the committee for CAOS Musical Society which perform throughout the Vale, including in our own Stewart Road Community Centre. I highly value other people's involvement, experience and opinion especially in community based activities. This statement was added by Samantha Campbell, their team, or by a Democracy Club volunteer, based on information published by the candidate elsewhere. If you can add information that should be on this page - such as Samantha Campbell's CV, homepage please use our crowdsourcing website to add it.